Through the generous support of the Ontario Trillium Foundation, Hamilton 12Up is a collaborative ‘seed’ project to develop an initiative to increase high school graduation rates. This project is a collaborative initiative with partnerships between the Hamilton-Wentworth Catholic District School Board, the Hamilton-Wentworth District School Board, Pathways to Education, the United Way Halton & Hamilton and many community partners. The IEC of Hamilton leads this initiative providing volunteer opportunities and mentorship to Hamilton high school students in need of their compulsory 40 hours of volunteerism. Community organizations in the not-for-profit sector will open their doors and provide mentorship to high school youth. This opportunity will support students and offers them the chance to give back to the community, provide an opportunity to develop new skills, build on existing experience and contribute to their graduation requirements. In partnership with City School by Mohawk College and funded by the Ontario Trillium Foundation, the Industry Education Council of Hamilton is pleased to offer a free training opportunity for youth over 19 years old and not currently enrolled in high school, college or university. Learn to build websites and create applications which will support job seekers and those interested in starting a new career. These 12 week boot camps will be offered twice per year beginning in 2019 through to 2021. You can learn more by visiting www.mohawkcollege.ca/trycollegeforfree or phoning 905-575-2489 and attending a free workshop.  This partnership will enable the IEC to leverage relevant and contextual career information created cinematically and focussed on Hamilton companies, to help inform Hamilton youth and job seekers about the opportunities available to them. It will also help Hamilton business and industry to profile their operations and the skilled workers they require. 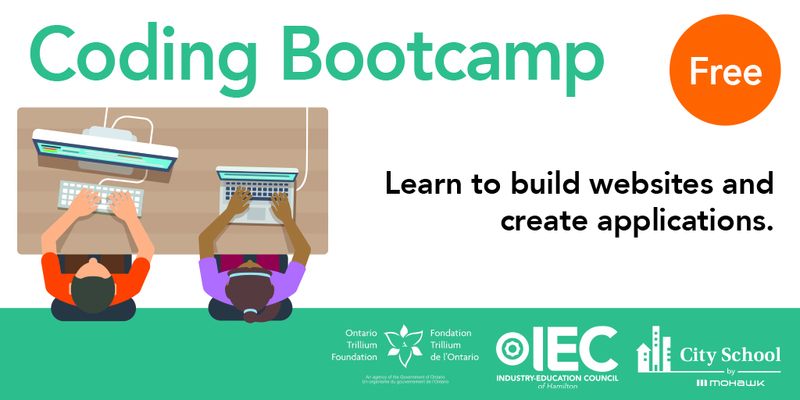 This unique program offers students, in Grades 4-8, the opportunity to learn simple software programming languages allowing them to explore the world of Information, Communication and Technology (ICT). This introduction can open up career pathways and 21st-century learning skills for students. The Customer Service Certification program offered through the IEC of Hamilton was designed for secondary school students, and is very supportive for students in cooperative education programs. During this half day, two hours experiential based session, participants will receive hands-on training gaining a basic understanding of fundamental customer service principles. Upon completing this engaging and interactive certification program, participants will receive a "Certificate of Completion" to reference in resumes and learning portfolios. This certification is available to students in Hamilton high schools and can be arranged through the classroom teacher or program coordinator. Welcome to the I.C.E. Certification Program, which is a Ministry-approved certification for SHSM Students. Participants will gain an introductory experience to entrepreneurship and how an entrepreneurial model can be applied to solving problems. 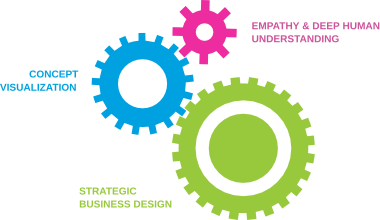 During a full day contextual experiential session, participants will learn how to use innovation to overcome challenges and discover the value creativity brings to problem solving and resource management. This introductory experience teaches students how to complete a basic business plan that can be grown into a micro-business endeavour and can be used to complete one of the certification requirements for SHSM students. This training is available for high school students and can be arranged by classroom teachers or program coordinators. This unique Entrepreneurship Program, engages youth in a demonstration of entrepreneurship as a viable career option. MIGHTY utilizes experiential learning to provide context for small business success. Participants gain foundation knowledge for a small business launch, which includes product development, customer service, basic financial literacy all focused on implementing a business plan. The program allows participants to be mentored by business professionals, allowing them to develop the skills and confidence needed as they take on the entrepreneurial mindset. Participation supports several SHSM program requirements. 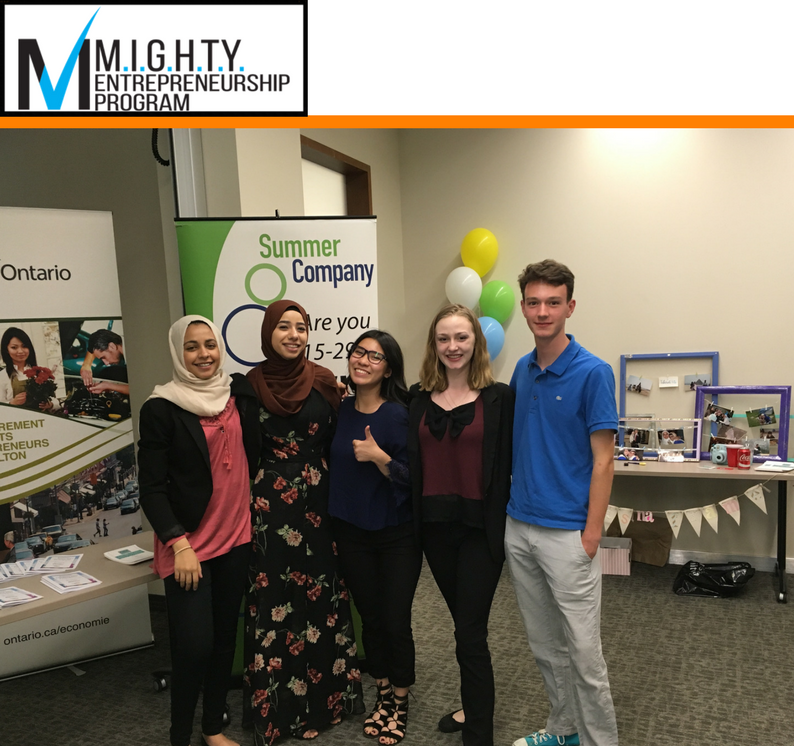 MIGHTY is an after school program open to high school students 14-19 years old in the Greater Hamilton Area in the HWCDSB and HWDSB . Sessions are hosted at Mohawk College, Fennell Campus. Would you like to get your students thinking about their future, educational pathways and different occupations in the workplace? Are you searching for resources as you plan the All About Me, Individual Pathways Plan, Grade 10 careers class, SHSM, Co-op or OYAP programs? Look no further – we are here to help! Our team will work with you to coordinate guest speakers, career fairs, co-op placements, and workplace tours to help support your curriculum needs. We will then recruit, from our roster, volunteer mentors to help inspire and inform your students, our future workforce, of the various local industries and sectors. 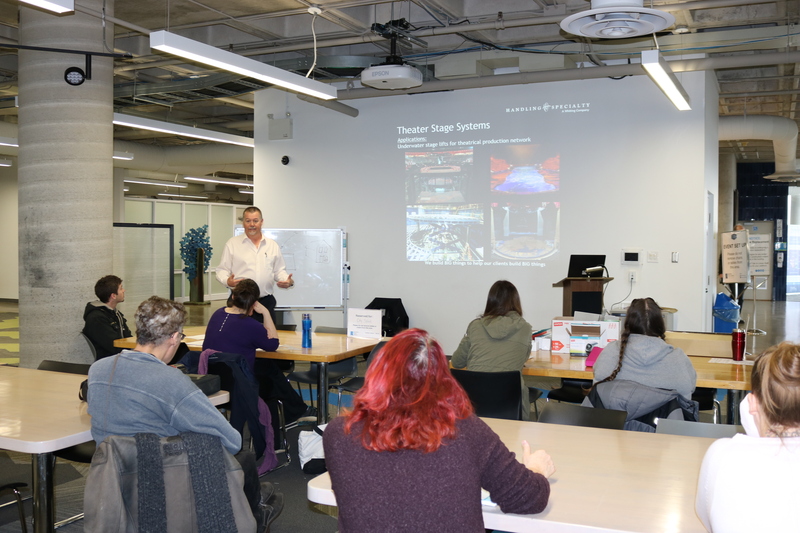 Professional Engineers Ontario volunteer speakers share with us a desire to make a difference in their communities by contributing their time, energy and exceptional talents to the students of the Greater Hamilton area. This community of more than 80,000 professional engineers is committed to enhancing the quality of life, safety and well-being in the province. Contact us to have an engineer come into your classroom and support your STEM curriculum by introducing the multi-faceted career opportunities and the educational pathway to your students. E.S.T.A.T.E. 2017 IS NOW CONCLUDED, STAY TUNED FOR FUTURE OPPORTUNITIES. 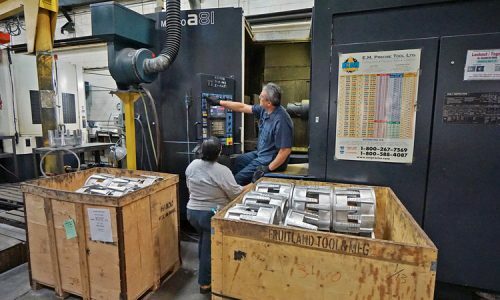 The ‘Employer Skills Training Advantage To Employment’ (E.S.T.A.T.E.) Program has been a ‘demonstration project’ of the Mayor’s Blue Ribbon Task Force in Hamilton. 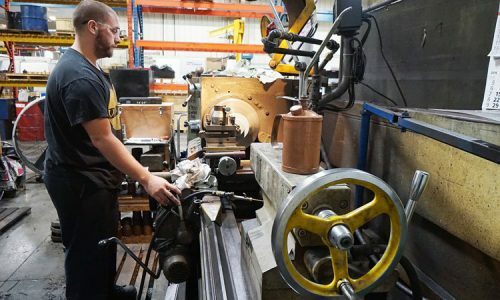 A skills development program designed to fill specific workforce needs through focused, high level training, within sectors identified in the Greater Hamilton Area. The E.S.T.A.T.E. Program has demonstrated that community collaboration effectively solves labour market shortages. Through funding received by the Industry Education Council of Hamilton from the Ontario Ministry of Economic Development and Growth, skills gaps in the Hamilton area were identified and a planned training program was developed in partnership with Mohawk College, Mohawk College Enterprise, Express Employment Professionals and multiple industry partners to resolve these shortages. Similar initiatives can be implemented to meet specific skills needs in Hamilton through a collaborative effort. Contact us to learn more.